Product prices and availability are accurate as of 2019-04-21 00:11:39 UTC and are subject to change. Any price and availability information displayed on http://www.amazon.com/ at the time of purchase will apply to the purchase of this product. MicroSolar FL4-B Solar Flood Light. * HEAVY DUTY ( 4.3lb, 10"x5"x3" ) Aluminum Light Fixture. * 120 pcs NATURAL WHITE (Not Bluish) super high brightness LED, output:500 Lumen. * Automatically working from Dusk to Dawn, Working time : Continious 8~12 hours/day. * 14.8V 4000mAh (59.2WH) long life Lithium battery, lasting over 2 years. 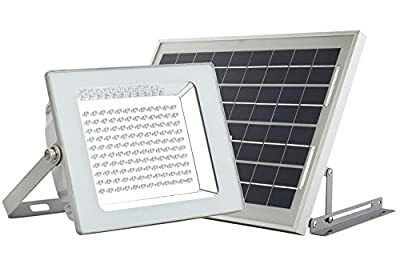 * Aluminum IP65 10W solar panel with ANGLE ADJUSTABLE METAL BRACKETS &16.4 ft cable. * OPTIONAL BOOST SOLAR PANEL. * Optional 16.4 ft extension cable. * Ground / Wall mount. * stakes for solar panel and light. 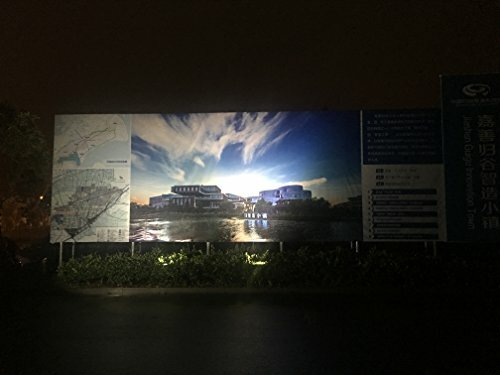 120 pcs super high brightness LED, output:500 Lumen Automatically working from Dusk to Dawn, Working time : continious 8~12 hours/day Long life Lithium battery inside, lasting over 2 years IP65, 10w solar panel with 16.4 feet wire, aluminum light body Optional 16.4 feet extension wire; Ground mount or wall mount. Include stakes for solar panel and light.